Cropped jeans are an essential staple for every well-edited wardrobe. Sum-up contemporary cool with ankle grazers by High or showcase a relaxed luxe aesthetic with our range of luxurious Rag & Bone cropped jeans. 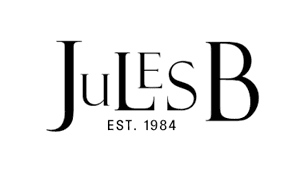 From easy-to-wear capri jeans to essential cropped skinny jeans, here at Jules B we offer styles suitable for every taste and occasion. Shop the stylish selection of cropped jeans at Jules B today to team with our ultra-trendy designer trainers.